SOS Boca Raton Drapery Workroom *blog* » Blog Archive » Boca Raton Community Sewing Class! 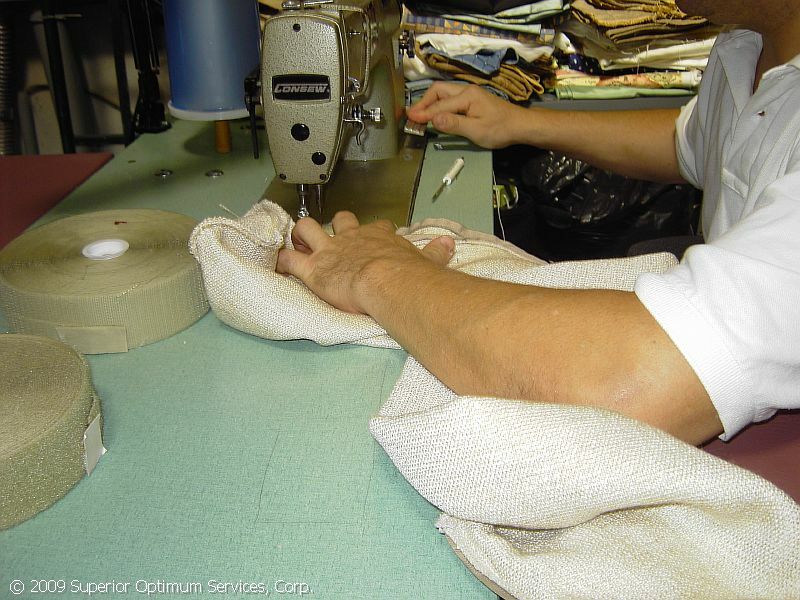 Boca Raton Community Sewing Class! We are holding free classes to teach the basics of upholstering and drapery making. The classes will start with a project such as an ottoman or chair. Participants will learn how to sew, what tools to use and what supplies are needed. SOS will provide the use of professional sewing machines, equipment and some tools for students. It will supply some fabric initially, but participants can purchase fabric from stock at a 50 percent reduction or bring there own. SOS supports green practices and will recycle fabric left over from previous jobs. Fabric available for purchase is all natural weaves, textures and fibers. At the end of class there will be refreshments and the opportunity to socialize with fellow students and vendors. *will provide job placement assistance if you’re good and want to get into the business. WHEN: Each free session will include four one-hour classes on Monday, Wednesday, Friday or Saturday. Morning (8 a.m.-9 a.m.) or afternoon classes (1 p.m.-2 p.m.) are available.